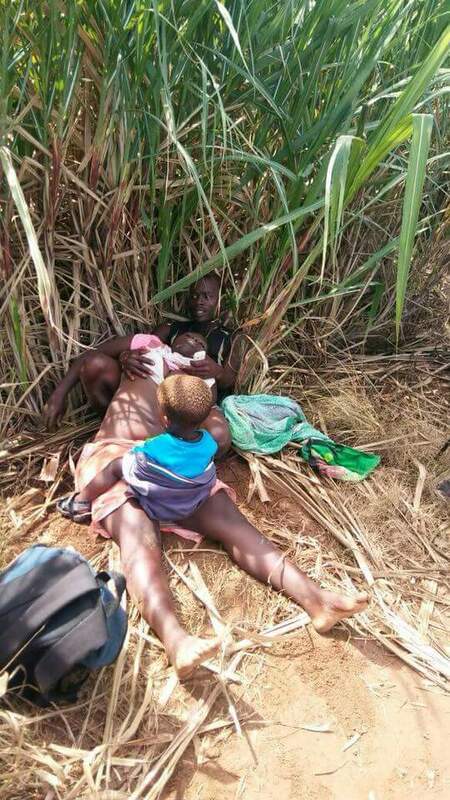 A motorist who was driving on an unused dirt road noticed a child sitting on top of a bleeding woman. The man drove to the RUSA Operations Center in Verulam and reported the incident. 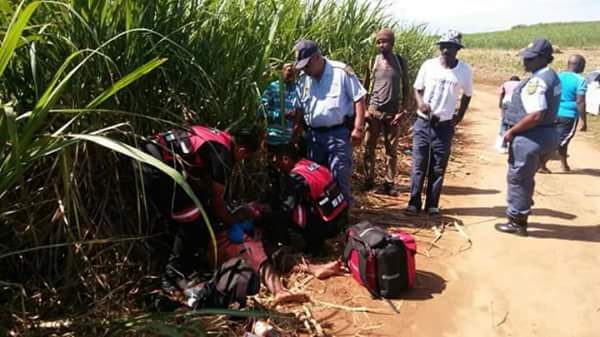 Reaction Officers & Paramedics from Reaction Unit South Africa were despatched to the area and after a brief search with the South African Police, the victim, her child & husband were located alongside a sugarcane plantation. 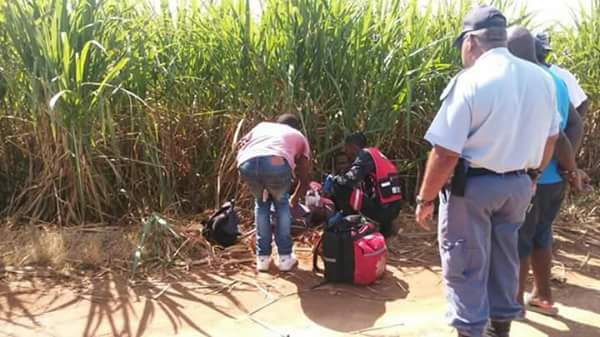 Medics attempted to resuscitate the woman but she died at the scene. Her child who was seated on top of her body had to be removed by officers. 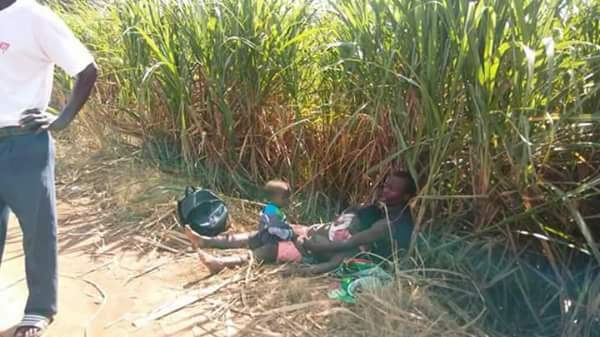 According to her husband, the couple was on route to their home in the BS Farm area when they were approached by two (2) African males who robbed the woman of her Mobicell cellphone. One suspect then drew a knife & stabbed the woman in her right back before fleeing. Reaction Officers are currently searching for the suspects. .